Our mission is to help athletes and active individuals achieve their sports and exercise goals. We are committed to providing the best sports medicine services possible, with a compassionate and caring attitude. By focusing on the identification, treatment and prevention of exercise-related injuries and conditions, our multi-disciplinary team of knowledgeable and certified professionals enables our clients to succeed. Our ultimate priority is to help our clients fulfill their active lifestyle pursuits. 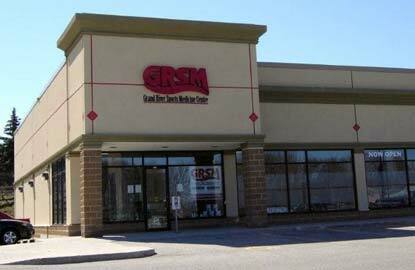 GRSM is a multidisciplinary full-service sports medicine centre with facilities in Cambridge and Kitchener, Ontario, Canada. GRSM has a special interest in treating sports and exercise-related injuries through a comprehensive biomechanical assessment and a sport specific treatment plan by a registered or certified professional. Services include sports medicine physicians, physiotherapy, massage therapy, athletic therapy, pedorthics (custom foot orthotics), sports nutrition, chiropractic and sports bracing (custom & off the shelf). At GRSM, we recognize the specific needs of athletes and active individuals. We strive to treat acute injuries as soon as possible. We understand that with prompt and appropriate medical treatment, athletes are often able to resume their activity sooner and with less chance of re-injury. The latest news and updates from GRSM.